You are here: Home>Clients>ITSC's Great Hounor To Start Cooperation With" Men At Work Stagecraft Management Pvt. Ltd."
ITSC's great hounor to start cooperation with" Men At Work Stagecraft Management Pvt. Ltd."
Mr. Narinder Singh from " Men At work Stagecraft Management Pvt. 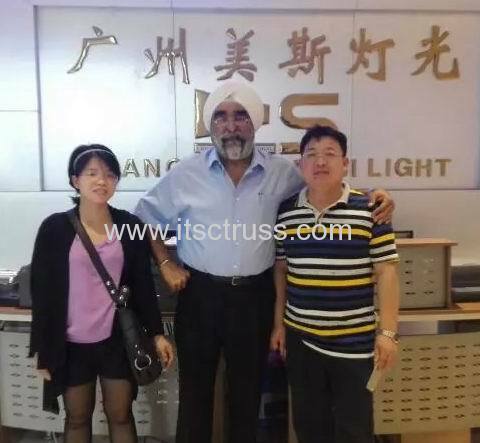 Ltd.", India visited ITSCtruss company on Mar.20, 2015, and sucessfullly started cooperation with ITSCtruss company. Then we also visit our brother lighting factory nearby which will attend the Guangzhou Prosound + Light Export with ITSCtruss on Apr.5-8 as well.
" Men At work Stagecraft Management Pvt. Ltd." is well know in the event industry in Inida, and it specializes in staging, rigging, trussing, motorized curtain assemblies,LED screen, laser,ect. It boast of a delicated team of highly qualified engineers and visualisers backed by an experienced workforce of technicians. And Mr. Narinder Singh ,as a managing director, is the founder for " Men At Work Stagecraft Management Pvt. Ltd..He is one of the most respected production engineer in India. 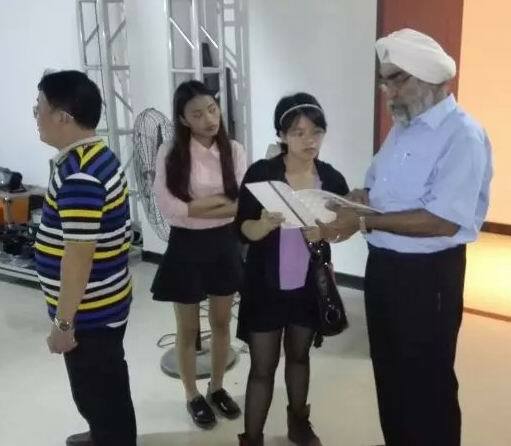 It is our great hournor to start cooperation with respected Mr. Narinder Singh.